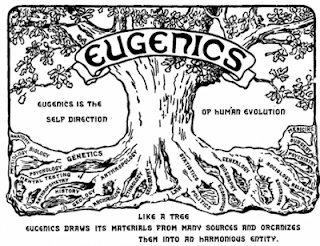 First, I argue that eugenics desires to cleanse the human race. Second, I argue that eugenics is aimed at interrupting humanity’s free will. Previously I mentioned how Roe v. Wade legalized abortion and it’s affect on the African-American community. A reduction in the fertility rate of African-American women is frightening in comparison to how little has changed in the fertility rate of White women. The fertility rate is an obvious indication of the phenomena of eugenics. We can talk race all day long and the differences in privilege between African-Americans and White communities however the focus of this essay is on how a handful of eugenicists and scientists are shaping the type of human beings that will prevail in the future. The circumstances could easily change and it could be that the African-Americans did not see a change in the fertility rate and the White women did. However that is not the case here. The results are clear that there is one portion of society that seeks to reduce or eliminate another segment of society. The interruption of free will, I argue, happens because there are several groups that have been created to “cleanse” the earth of undesirable human traits and undesirable human beings. There is one group that is claiming to be the responsible group, in this case the eugenicists, while another group is unconscious of the policies being applied to their existence. Medical experimentation of oral contraceptives and other reproduction procedures are used on women in developing countries. It is a common practice. Governments have been urged to allocate resources for research in human reproduction and fertility regulation (Skegg). There are many examples that can be used to illustrate the influence of the government over its citizens, worldwide, to regulate how people reproduce especially in the case of poor and undeveloped peoples. The problem then with eugenics and free will comes down to who has the power and governing authority to exert control over another. Eugenics is a tool of people in power and the nature that is used to implement policy to discourage reproduction by “unfit” parents is in itself deceitful. 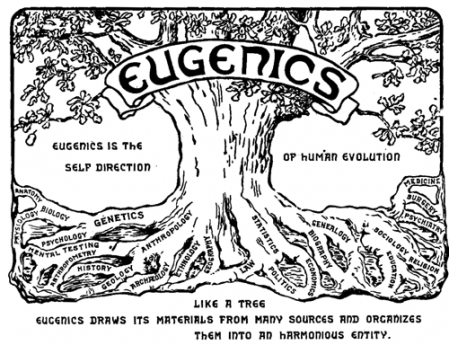 The United States, through the American Eugenics Society and the Eugenics Records Office, has been a leader in eugenics. Those groups have dissolved but continue to have a presence in modern America through the missions of select groups like Planned Parenthood and the World Health Organization. Hitler’s scientists looked to the U.S. for guidance on forced sterilization and the obvious racial cleansing that they so desired. North Carolina in the United States is the only state that allows access to its sterilization records. They initiated more state-sponsored sterilizations per capita since the inception of the program in 1937 until it reformed its policies in the 1960’s. Social workers were able to petition the state to assert sterilization on its clients (Schoen). There were many states that had the same practices of which none of its records can be accessed at this time. However, it is safe to assume that other states used the same procedures against its citizens. In the early 20th Century when the eugenics movement was emerging, some women were in support of it citing women’s health problems that arise out of constant childbearing and the inability to care for the children they already have as the motive. Sterilization seemed to be a better avenue for contraception. This type of thinking was most prevalent in poor, minority neighborhoods. My final argument is that humanity’s concept of free will is compromised by eugenic science. If this is true then I have already concluded that humanity is free to choose his or her life and is not a victim of his or her circumstances. We are each independent, responsible agents with the right to self-determination. However, in the case of eugenics, we are not free to determine the natural course of our life. Free will or self-determination is dependent on social structures. We are all born into certain social structures. Across the planet are vastly different cultural values and practices. Our ability to exercise free will is dependent on them. In Free Will and Continental Philosophy David Rose explains that we can separate this into two different types of freedom, subjective (the freedom of the agent to satisfy his or her wants, aspirations and projects) and objective (the social structures, institutions, norms, meaning and expectations that maintain, sustain, and promote subjective freedom) (152). If this is true then we are subject to a social lottery. Some of us are born into countries that may promote subjective freedom and thus are freer than others on the planet. Inserting the science of eugenics and allowing certain governments and organizations to establish social and legal policy on human reproduction undermines the idea of subjective freedom. Rose explains, “An agent is free if he or she is capable of acting in such a way as to satisfy his or her desires, aspirations and projects. The objective institutional structure of a society either aids or hinders such action (153). What eugenics does, because those in power promote it, is assert their objective onto unknowing people and removes the ability for a person to exercise choice.